Get Access RIGHT NOW to More Than 67 DVDs of Step-by-Step Instruction in Tai Chi, Hsing-I, Bagua and Qigong for Streaming! More than 850 Video Lessons and Ebooks -- PLUS Personal Coaching from the Instructor and a TWO WEEK RISK-FREE TRIAL! If you have studied Taiji (Tai Chi), Xingyi or Bagua, I would like to ask you a serious question. Does one of these sentences describe your internal arts experience? Your teacher focuses mainly on health and meditation and does not teach you what the movements mean for self-defense. Your teacher spends a lot of time on "chi cultivation," and the instruction is shrouded in Mystical Mumbo Jumbo. Your teacher is "old school" and holds back information, or gives you information in small bits. You are a teacher but you feel there may be gaps in your knowledge, and you want new ideas and to continue your internal arts education. You want personal, one-on-one instruction from the teacher. You want to study, but there are no teachers where you live. Many members of this website answer "YES" to one or more of the above. This website is for you! World class instruction with nothing held back plus PERSONAL COACHING from the instructor! No matter where you are in the world, and on all devices -- desktop computers, laptops, Android and Apple devices -- you can have 24/7 access to the most complete, in-depth instruction of Chen Taijiquan, Xingyiquan, Cheng style Baguazhang, plus Qigong and more! All Material -- from Beginner to Advanced -- Is Available To You Immediately! More than 100 Hours of Detailed Taiji, Xingyi, Bagua, Qigong Instruction -- Equivalent to More than 67 DVDs To Increase Your Skill! "My daughter is 12 years old and has trained in the martial arts since she was four years old under some of the most qualified and accomplished Masters in the world. Recently, we made the decision to integrate her into Wudang Tai Chi and Chen Tai Chi to augment her knowledge and depth of training to push her to the next level. Ken passes what he has learned directly to his students and holds nothing back! If you have looked at Taiji, Xingyi or Bagua schools, you know that the student fees can be $50, $75, $100 a month or more, and the instruction you receive leaves you feeling as if there MUST be something more. This is where you find it. Two Free Weeks of TOTAL ACCESS before you invest a penny! You will be able to watch all video lessons, download free pdf documents, and even enjoy a member discount on DVDs during your two free weeks. 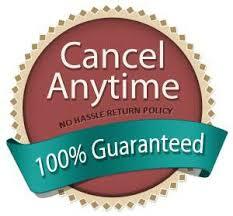 The right to cancel at any time -- NO HASSLE! More than 850 video lessons in order from basic skills to advanced material -- More than 100 Hours -- More than 67 DVDs Worth -- the most detailed lessons you've ever seen on Chen Taiji, Bagua and Xingyi. Also, Qigong and philosophy that will allow you to center yourself through the ups and downs of modern life. View each video full-screen if you want! Free PDF downloads and a Member Discount on all DVD purchases! No "secret" information is held back! Every movement - every technique - every internal principle - all the body mechanics are broken down in detail. A complete curriculum - starting with the basics of Internal Strength - that will take your knowledge and skill to the next level -- GUARANTEED or your money back - no questions asked! Direct access to the instructor. Ken responds to your questions and problems by email and phone to help you get the most benefit from the training. Yes, Ken actually answers the phone when you call! Live, One-On-One Personal Coaching from Sifu Gullette via Facetime or Skype Video Chat AT NO EXTRA COST!! A standing invitation to join any of Sifu Gullette's regular practices in the Quad Cities at NO EXTRA COST! A respected site that has been online for more than TEN YEARS and will be here for a long time to come! An instructor who is a respected tournament champion, a dedicated internal artist, and a teacher who produces champions! Sifu Gullette wants this to be the BEST internal training experience you've ever had! New videos and free pdf downloads are being added continuously!! Ken makes new videos every week, pushing the content into advanced territory. Member requests for video lessons are accepted! Ken will create a new video lesson to answer questions that are not clear. Monthly Newsletter emailed to you! Go behind the scenes, meet the people who are involved in the site, meet other members, read training tips, get internal insights, and keep up-to-date on the internal arts community. This site was launched on July 4, 2008 and has attracted members around the world -- from the United States to Canada, the UK, Europe, the Middle East, Japan, Malaysia, and China -- members who have been amazed by the depth of material, and the easy-to-understand instruction on this site. Sifu Ken Gullette has studied martial arts for 45 years and began teaching the internal arts in 1997. But he has kept learning in the years since, and is still learning. His online training, DVDs and ebooks have been studied by martial artists around the world. And he does this as his full-time job! He is here for you at all times by phone and email! Ken's instruction places an emphasis on internal body mechanics -- the unique internal principles that give you relaxed power! The crucial body mechanics for high-quality internal kung-fu. Ground path and Silk-Reeling energy exercises, explanations and instruction in peng jin, whole-body movement, opening/closing the kua, Dan T'ien rotation, and more. How to do fajing (issuing energy). How to control your opponent's center, one of the keys to internal self-defense. Pole-shaking exercises to bring body mechanics all together for power. The "secrets" of relaxed power (here is a hint: it is all physical skill, not mystical)! Five Fist Postures and their fighting applications. Linking Form - Lien Huan Wu Hsing - movements and self-defense applications. 2-Person forms - stationary and moving. Staff basic techniques - grips, stances, blocks, strikes, one-steps and more. Straight Sword basic techniques - grips, stances, deflections, cutting techniques, one-steps, sword & scabbard techniques and more. 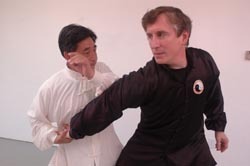 Ba Shih ("Eight Methods") Intermediate Xingyi Form and self-defense applications. The 12 individual animal forms of Xingyi and their self-defense applications. The advanced 12-animal linking form Shih Er Xing ("12 Shapes") and its self-defense applications. Learn more than 200 self-defense applications for the 12 Animals - hand strikes, kicks, knee strikes, joint locks, and takedowns. Chen 19 Form - detailed instruction of movements and self-defense applications. Chen 38 Form - detailed instruction of movements and self-defense applications. Chen Broadsword Form - the movements of the form and broadsword fighting applications. Broadsword Basic Techniques - grips, stances, deflections, cutting techniques, one-steps, sword & scabbard techniques, one-steps and more. Push Hands - basic patterns, body mechanics, and self-defense applications. Chen Straight Sword Form - detailed instruction of the movements, body mechanics and fighting applications. Laojia Yilu Form - the 75-movement form, taught with detail and a focus on internal body mechanics. Self-Defense Applications of the Laojia Yilu Form - more than 400 self-defense applications hidden inside the Laojia Yilu Form. Laojia Erlu Form - also known as "Cannon Fist," this form is known for combining smooth, flowing movement with bursts of powerful fajing. Chen Spear Form - in the process of completing the video shoots for this -- instruction and fighting applications. Chen Double Broadswords Form - in the process of completing the video shoots for this -- instruction and fighting applications. Breakfalls - techniques that teach you how to "fall" when thrown to the ground. The Mother Palms and their self-defense applications. Tea-Serving Exercises - Bagua's version of silk-reeling. Pole Exercises - stationary and moving, plus the fighting applications. Eight Basic Palms Form - the movements, body mechanics and self-defense applications of this basic form. The Three Goals of Bagua Self-Defense - Learn 25 different ways of achieving the three goals -- Uproot, Unbalance, and Control Your Opponent's Center. Building Blocks of Bagua Self-Defense - More than 100 fighting applications with a focus on internal body mechanics and key concepts (known as "Key Words") of Bagua self-defense. The Eight Main Palms Form - the first major form that you learn, with an emphasis on internal body mechanics. Fighting Applications of the Eight Main Palms Form - learn more than 150 self-defense applications of the form, including palm strikes, elbow strikes, kicks, sweeps, joint locks and takedowns. Bagua Elk Horn Knives Form - learn these devastatingly effective weapons - the movements of the form are taught with an emphasis on internal body mechanics. The fighting applications are useful against any weapon. Bagua Swimming Body Form - this advanced form is graceful, with flowing movements grounded in good internal body mechanics. More Bagua material is created regularly. How to calm your mind and body, ease stress, and improve your health. How to "remain centered" at all times, even in moments of crisis and tragedy. Basic Qigong Exercises - three 5-minute routines and two 10-minute routines. The Eight Pieces of Brocade - an ancient series of eight Qigong exercises. The Yi Jing Ching Palm Set - twelve exercises, mostly using palm positions, which help you calm the mind and body and find your Center. The Yi Jing Ching Fist Set - twelve exercises, mostly using fist positions, which help you calm the mind and body and find your Center. The Yi Jing Ching Moving Set - twelve moving Qigong exercises that strengthen the body as you calm yourself, find your Center, and improve your health. Tournament Sparring Techniques - learn the techniques that have allowed Sifu Gullette to win dozens of sparring competitions. A complete white sash to black sash curriculum for those who are interested in achieving rank. You get FREE MEMBERSHIP for two weeks (14 days) and then pay only $19.99 per month! Get started now! No contracts! Cancel anytime! A qualified instructor. You'll get complete access to all material on the site -- including free downloadable pdfs and you can purchase instructional DVDs at a member discount! In addition, all members can communicate directly with the instructor. The best part -- you can use this information to enhance and "fill in the gaps" of instruction you are receiving from other instructors. Start Learning Today! Get COMPLETE ACCESS free for two weeks, then pay only $19.99 per month! If you are not satisfied for any reason, cancel anytime. If you cancel within two weeks of joining, you will not be charged. You cannot lose by trying it out! That's a promise from Sifu Ken Gullette! Go Deeper and Study the Complete Arts of Tai Chi, Xingyi and Bagua! TEST IT FOR TWO WEEKS WITH NO RISK! -- MORE THAN 850 VIDEO LESSONS! -- EQUIVALENT OF MORE THAN 67 DVDS OF INSTRUCTION! -- DEEP INSIGHTS INTO INTERNAL BODY MECHANICS, MOVEMENT AND SELF-DEFENSE! -- ACCESS TO THE INSTRUCTOR VIA EMAIL, PHONE, SKYPE OR FACETIME! -- AFTER TWO WEEKS FREE, IF YOU DECIDE TO CONTINUE TO DEEPEN YOUR UNDERSTANDING AND INSIGHT INTO THE INTERNAL ARTS, YOU WILL BE BILLED ONLY $19.99 EVERY 30 (THIRTY) DAYS! -- YOU MAY CANCEL AT ANY TIME FOR ANY REASON -- NO CONTRACTS! !